Beneath the surface of the earth lie complex high-temperature molten rocks. These are called magma. These same molten rocks shoot out into the atmosphere when volcanoes erupt. The same extremely hot material then flows down the sides of the volcano and is called lava. 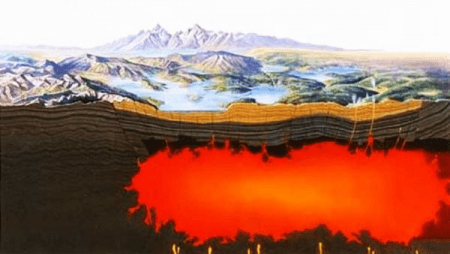 This article will tell you more about magma and lava and how the two are differentiated. Magma is made up of molten rock, vaporous substances, solids, and sometimes crystals that can be found underneath the earth’s surface. The rocks located in the earth’s crust are super heated to the point that they become thick, sticky, and semifluid in form. The term magma is derived from an ancient Greek word meaning “thick unguent.” This term is used to refer to viscous substances such as ointments or lubricants. The temperature of magma usually ranges between 1300 °F to 2400 °F (or 700 °C to 1300 °C). Lava is molten rock that reaches the earth’s surface. This happens when a volcano erupts. Volcanic eruptions can be explosive but some are not. The explosive ones are usually caused by thick molten rocks which plug the throat of the volcano. Lava can be 100,000 times more viscous than water. It can travel over great distances before it cools and solidifies. When lava cools, it forms into igneous rocks. 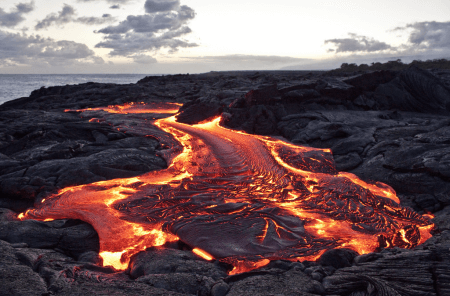 The term “lava” is derived from the Latin word labes which means “a fall” or “slide.” The first use of the term “lava” was noted to be in a written account by Francesco Serao in 1737. He observed the eruption of Mount Vesuvius and described it as “a flow of fiery lava” using it as an analogy to the water and mud flowing down the sides of the volcano after some heavy rain. What is the difference between magma and lava? Magma and lava are both composed of molten rock and the only difference is the location. Magma is located beneath the earth’s surface, usually found in the earth’s crust. Lava, on the other hand, is the molten rock that shoots out of the volcano’s crater to the surface of the earth. It then flows down the sides of the volcano and eventually cools and forms igneous rock.